For this guide, a transmission line is any overhead line with a phase-to-phase voltage exceeding 69 kV and an average conductor height of more than 10 m. The transmission line is usually shielded by one or more overhead ground wires (OHGWs), at least for a short distance from a substation. While reference is primarily made to ac transmission characteristics, the guide is also relevant for high-voltage direct-current (HVDC) overhead lines. The guide is written for the transmission-line designer. When given the problem of designing or redesigning a transmission line, the designer should consider certain limiting factors such as the voltage level, the beginning and ending points for the transmission line, and the desired ampacity of the line. Sometimes the exact route, and the type of conductor and structure have already been determined. Usually the designer may choose structural details, the geometry of the structure, the structure height, the exact placement of the OHGWs, the amount and type of insulation, the type of grounding, and other design features of a line. This guide is written to show the designer which choices will improve or degrade lightning performance. Sections of the guide discuss the effect of routing, structure type, insulation, shielding, and grounding. An additional section discusses several special methods, which may be used to improve lightning performance. Finally, in Annex B, a listing and description of the FLASH program is presented. The line designer should be aware that lightning performance is not of primary importance in the economics of line designing. Other factors, such as line length, right-of-way costs, construction costs, material costs, and losses affect the economics of a line design much more than lightning performance. The designer should always balance the costs of higher insulation levels, improved grounding, better shielding, or line relocation against the benefits of improved reliability. 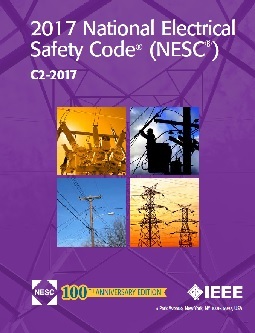 This guide contains simple mathematical equations, tables, and graphs that provide the information needed to design an overhead power transmission line with minimum lightning interruptions. Versions 1.6 and 1.7 of the FLASH program are provided on the diskette included with this guide. Annex B includes a description of the program. The FLASH program uses the models in the design guide along with a description of transmission line features to estimate the lightning outage rate that may be expected. These simplified models may also be adapted to assess the benefits of novel methods for improving lightning performance. 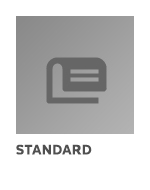 New IEEE Standard - Active. The effects of routing, structure type, insulation, shielding, and grounding on transmission lines are discussed. The way these transmission-line choices will improve or degrade lightning performance is also provided. An additional section discusses several special methods that may be used to improve lightning performance. Finally, a listing and description of the FLASH program is presented.